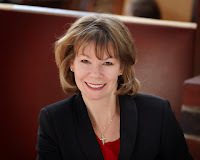 Leanna Ellis is the winner of the National Readers’ Choice Award and Romance Writers of America’s Golden Heart Award. 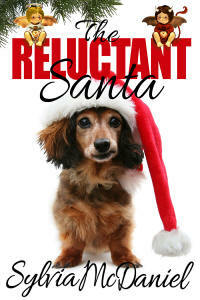 She has written numerous books for Harlequin/Silhouette and has published four books with B&H Publishing. With her husband, two children, and wide assortment of pets, she lives in Texas. Plain Fear: Forbidden, the next book in the Plain Fear Series, will be in stores in Spring 2012. For more information, please visit www.LeannaEllis.com. We are pleased to welcome her to The Long and the Short of It. Hi! First, thanks for having me here! Advice for a newbie, huh? Well, I’m reading some contest entries at the moment and some of the entries are obviously beginners but that’s okay! We all have to start somewhere. So I will tell you what I would like to be able to say to them: keep writing. Write, write, write. And read, read, read. Read the kind of books you want to write and the kind of books you don’t. Tear those books apart and study them. What makes them powerful? What makes them not? Read everything. And write. Read books about the craft of writing. And write. Practice what you’re learning. Read articles and blogs about writing. And write. Join writer organizations and local groups. And write. Join a critique group. And write. Go to conferences and meet other writers, editors and agents. And write. Writing is not a quick fix to your problems or an easy way to make a living; it’s a journey. Surgeons don’t become surgeons over night. And writers don’t become writers over night. So if you have a dream of being a writer, get started writing…and then don’t quit. I’m working on book #2 of the Plain Fear series and getting very close to the end. It’s always an exciting time for me as a writer. The words are coming fast and furious and I usually have a hard time getting them down fast enough. I’m anxious to get to the end just so I can say I reached the end. That there is a book there. And then I will take a tiny break before I begin the really long, arduous part of editing, which will take me months to shape up the book before I send it to my editor. But if you hear a “whoohoooo” or feel a shudder in the earth, then you will know I reached ‘the end’ and I’m celebrating. Because getting to that point is a huge victory for a writer. Then it’s time to roll up the sleeves and get to work again. I’m actually in the middle of reading several different books right now. When I’m close to the end of the first draft of one of my own books it’s hard to concentrate on any other characters or plots. I’m also listening to Alas, Babylon in the car with my kids. I haven’t read that book since I was in 9th grade, and we’re loving it. Before that we listened to To Kill a Mockingbird, and hearing Sissy Spacek read one of my favorite books was a real treat. It’s also a lot of fun for me to share books I’ve loved with my children. We have great discussions about them! I come up with titles all sorts of different ways. Sometimes that is the first thing that comes to me. I knew at one time I wanted to write a story about the Wizard of Oz and one day the title just came to me: Ruby’s Slippers, from there I came up with the story. Then with Elvis Takes a Back Seat, I had several titles along the road to publication with that book. My critique buddy kept telling me I needed Elvis in the title, so I doodled around one day and played with different ideas and finally I hit on the title. I usually like my titles to have double meanings, and that one certainly does. Lookin’ Back, Texas came to me during the revision process. The story takes place in Luckenbach, Texas and one of the names locals call their town is Lookin’ Back, Texas. It fit the story well because my main character is looking back into her past. See, double meaning. :-) With Forsaken, I originally named it Plain Fear until my agent said it needed to be a series. So then I thought the series title should be Plain Fear. I brainstormed with my best friend, who is also a writer, and she helped me come up with the titles. Forsaken fits so many of the characters and how they feel about their different situation. During my first writing class, I asked my teacher when we could call ourselves writers and she said, “Do you write every day?” “Yes.” “Then you are a writer.” Powerful words. This is almost laughable because I have such a crazy life of taking kids to and from all of their activities that I have to write where and when I can. So, I write at the kitchen table or sitting on the floor so I can entertain our kitten at the same time. If I can find a Starbucks or Barnes and Noble, then you’ll find me typing away and trying not to eavesdrop on the conversations around me. I’ve written a lot sitting in my car while my kids are at their music lessons or math tutor. I’ve written during rehearsals of Annie and other shows my daughter is in, trying not to sing along with the music. I’ve also written during fencing practice, but all the beeps as fencers hit their targets can be annoying and hard to ignore so sometimes I have to only edit or read galleys while there. Sometimes every part of writing seems difficult. This book was a lot of fun to write, but often just putting those first words on the page are the hardest part for me. With Forsaken, I hadn’t written in third person in a while so it took me a while to get back in the groove of that. I had originally started the book in first person but I quickly realized I needed to get into so many other characters’ point of view that I switched to third person. But when I got stuck, I went back to first person and then changed it to third. Chaotic and crazy, mostly because my kids are at that age when they are super busy with all of their activities and they cannot yet drive. But I also love being very involved in their lives, so I like to take them places and I love to watch rehearsals of shows my daughter is in and fencing tournaments my son competes in. So I have to squeeze in writing when I can. I like to get up really early in the morning before anyone else is awake (although I can’t seem to beat the kitten as he wakes REALLY early) and get my writing in for the day. I’m just happier and nicer when I’ve gotten my writing done for the day. I love to spend time with my husband and children. We love to travel, and we’re very involved in the kids' activities. We go on a lot of weekend trips for my son’s fencing or we take research trips together for my books. In fact, I’m getting ready to take my son to Nationals in Reno next week for fencing. But I’m also taking my daughter to New York next week to a writing conference, so we can go to a couple of Broadway shows. She and I love musicals and are often going to local shows. I also love to walk my crazy Hilo Monster (my 2 year old labradoodle). And of course, I love to read. 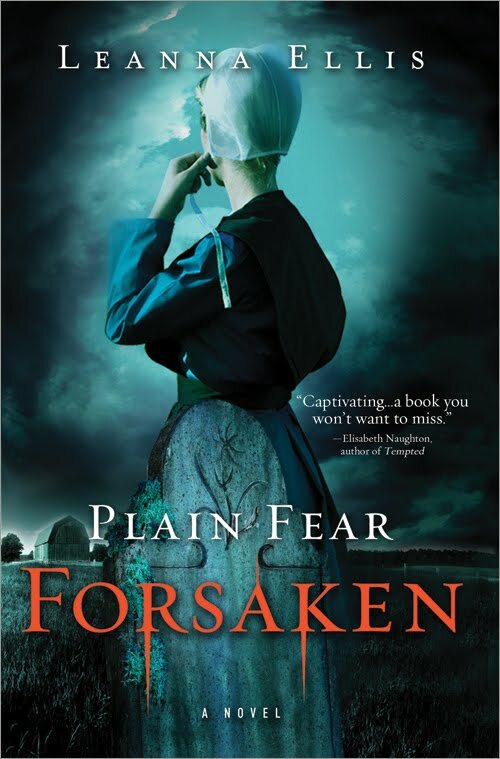 Plain Fear: Forsaken is my eighteenth published novel, although I’ve written more than that. Some will never see the light of day but I hope a couple I’ll be able to revamp some day when I have time. Choosing a favorite is like choosing your favorite child, and I don’t like to play favorites. But like with children, the one that is behaving at the moment is usually the favorite. And that usually means the book that is finally completed, edits finished, galleys read and the book is ready to be released. It’s like watching your child who you struggled with during the teen years and through algebra finally walk across the stage and get their diploma. That moment helps you forget all the pain and struggles, very much like as soon as you hold a newborn you forget the labor pains…well, almost. My latest book is PLAIN FEAR: FORSAKEN, the first in a series. Hannah Schmidt, a young Amish woman mourning the mysterious death of her beloved Jacob, must decide between two brothers, between good and evil. When she learns her first love is now the vampire Akiva, she must forsake him and cling to a new love, a lasting love, one that will save her soul. I would LOVE to have another dog. I’m a huge dog lover. But right now, my ‘barn’ (aka my house) is full. We have an old lab named Liberty. We have a crazy labradoodle named Hilo (after a place we love in Hawaii). We have a cat named Miracle, named so because it was a miracle she lived as she was born 10 days early and her litter mates did not survive and also because we are not allergic to her. And our most recent addition is a little orange tabby (more blond than orange though) named Sawyer. My father–in-law had nine cats when he passed away this past spring, and one of those cats had kittens right before he went into the hospital. So when he passed away, my husband wanted to bring a kitten home. Our sweet Belle (a 15 year old llasa) passed away two days after Christmas this past year and we have really missed her, so we were all eager for another pet, although I didn’t think I’d have another cat because my husband and I are allergic. Still, little Sawyer came to live with us and he is the sweetest kitten ever. Really. He purrs almost constantly and just loves to be loved. He will wake me in the middle of the night, purring and rubbing his little face against mine. He knows when not to use his claws and is truly the sweetest tempered cat I’ve ever known. Can you tell I love him dearly? So yeah, we’d take another dog but we’ll probably wait for a while. Do you hate how you look in pictures? Definitely. I’m usually so busy that I barely have time to look at myself in the mirror in the morning. So when I get a picture taken then I notice all the imperfections (aka aging) that have crept up on me. In my head I’m still in my twenties but a picture is proof that I’m not. When you looked in the mirror this morning, what was the first thing you thought? ACK! No, I’m just kidding. I probably didn’t get a chance to look in the mirror for a while. And when I did, I didn’t have my contacts in so I was just a blur. Which is probably good. Lions and polar bears are my favorite. But my favorite to live with are dogs and cats. I would have just said dogs but Sawyer (our kitten) has won me over. Veggie, no olives, no jalapenos, thin crust. I think I have the pizza delivery phone number memorized. Both. Normally, I’m a night person and so easily I slip back into that mode. But out of necessity with young kids (well, they’re 11 and 13 so not so little anymore), I’ve had to change into a morning person. I do like early morning quiet. Ahhhh. I like writing early in the morning, on a lanai with the rumble of the ocean in the distance is my favorite but I digress. After a rush, rush day, it’s harder for me to write at night. So I’ve adjusted to morning, and getting my writing done in the morning just makes the day happier. I love thunderstorms. Great reading weather. Great sleeping weather. Two things I never get to often enough. We had two huge thunderstorms this week. Thankfully we didn’t have to go into the closet for a tornado warning. We had a couple of those this spring. If I couldn’t then you’d have to lock me up and throw away the key. It is the only way I can survive at the moment. Can you taste the difference between Pepsi and Coke? If so, which do you prefer? I can tell the difference and I prefer Diet Coke, thank you very much. Thanks so much for having me here! It was great fun! Leave a comment for a chance to win one of two copies of Forsaken. US and Canada readers only, please. Plain Fear, Forsaken sounds very interesting and very unique - an Amish Paranormal- something I've never seen before! I too would love to live in Hawaii (but not during the storm season...lol). I too love thunderstorms- they are great for curling up in bed with a good book and just relaxing or taking a nap! I prefer Coke products !..lol.. A paranormal Amish community sounds very intriguing! I prefer Coke over Pepsi and I can taste a minor difference. Love the idea of an Amish Paranormal story. The Amish have always intrigued me. They're just simply fascinating, I could only imagine how much more so with paranormal factors! As far as the Pepsi/Coke debate I'm in the middle. I love the burn of a fresh Pepsi/Cherry Pepsi, but I also adore Diet Coke. Thank you so much for the giveaway!